Please enter your email address or phone number. "The B~TRAY SPACE hospitality tray was for us the perfect solution for in room coffee makers; refined and practical. The service was also top notch from the B~TRAY team!" We are extra proud of this review, because Fairmont is one of most luxurious hotel chains in the world! 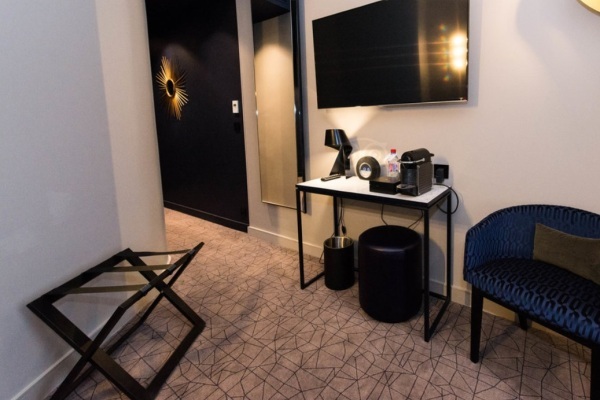 B-TRAY Hotel Supplies offers luxury hotel room products for every budget: hospitality trays, hotel kettles, hotel porcelain cups, ironing centres, luggage racks, hair dryers, weighing scales, laptop safes and more. Our hotel products have been specifically designed and manufactured for the hotel and hospitality industry. B-TRAY can help you to create a fresh new look to your guest rooms by supplying stylish and innovative hotel supplies.